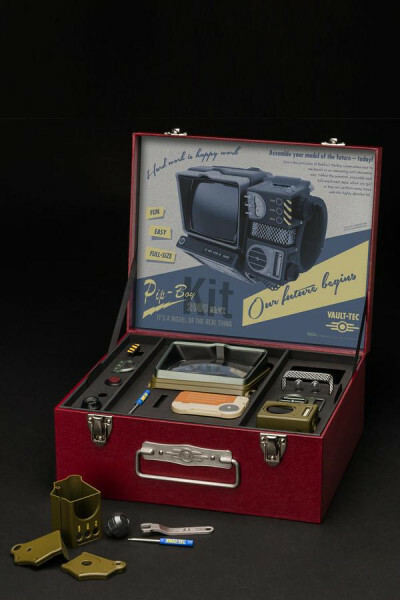 Get your own Pip-Boy 2000 MKVI with this absolutely screen-accurate construction kit. The kit comes in an authentically styled vintage case and has been designed to look and feel just like the real deal. You can keep the kit in the display or assemble the more than 100 components to get a true to life replica. No paint or glue needed! Manufactured by The Wand Company.